As leaders become immersed in their products, they become more focused on the users they have and less on those they don’t. The natural tendency to gravitate towards your best customers handicaps your ability to build and sustain increasingly inclusive products. 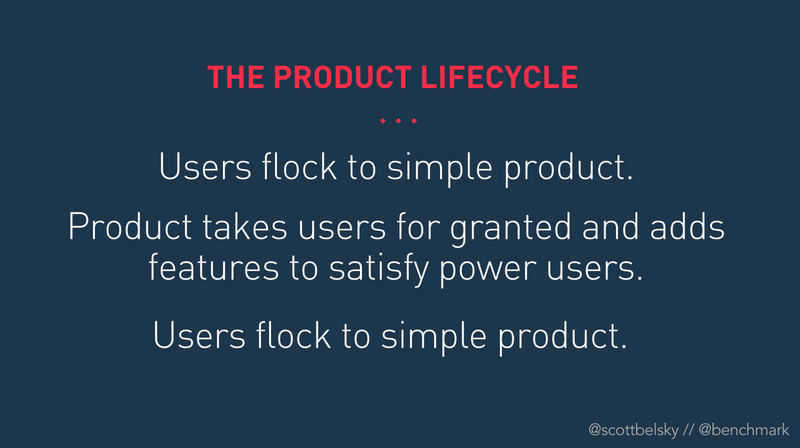 In a world of moving fast and pushing out a “minimum viable product,” the first mile of a product’s user experience is almost always an afterthought. The welcome/tour, the onboarding, the explanatory copy, the empty states, and the defaults of your product make up the first mile. Ironically, these crucial components of initial engagement that make up the “top of your funnel” for engaging new users are typically addressed in haste as a product is launched. In some teams, I have even seen these pieces outsourced or delegated to a single engineer or designer to figure out on her own. To make matters worse, the first mile of a product experience is increasingly neglected over time despite becoming more important over time. As your product reaches beyond early adopters, the first mile will need to be even simpler and account for vastly different groups of “newest users.” For example, products built before the mobile-first era need to evolve for a generation of people that are mobile-only. Products built before the advent of Facebook Connect and now the “address book graph” must account for the new standard for finding your friends. And products built for a tech-savvy group of early adopters must simplify to go mainstream and accommodate a broader population. It’s an important reminder: New users are not the same over time. Successful products span across demographics, generations, and nationalities. 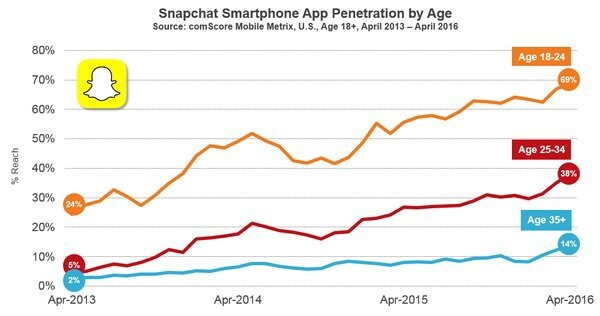 Consider Snapchat, over four years after initial launch, is now growing fast in the “Age 35+” demographic. Whatever your first mile is now, it must not only get consistently better but also must consistently change. A failed first mile cripples a new product right out of the gate. 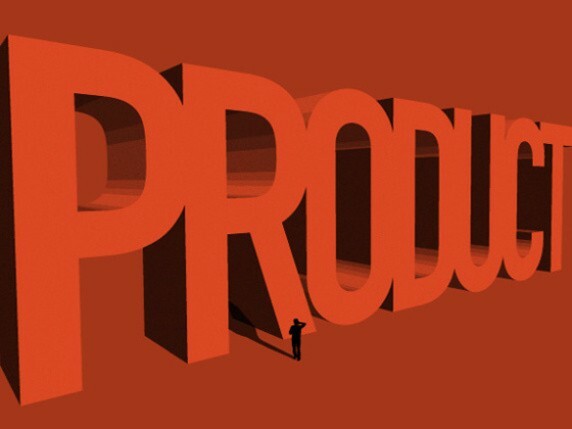 Your product may get lots of downloads or sign-ups, but very few customers get on-boarded and primed to the point where they know three things: (1) why they’re there, (2) what they can accomplish, (3) and what to do next (note: users don’t need to know how to use your product at the beginning, they just need to know what to do next!). Once a new user knows these three things, they have reached “The Zone.” Fantastic businesses are built when the majority of users that express interest in a product are able to get on-boarded and into The Zone. Big and established products are not immune to this problem. Consider Twitter — a product that engaged millions of people but struggled to optimize the first mile over time. As the core product improved, the first mile failed to get enough new users into The Zone — and growth stalled. Recent simplifications, an emphasis on accessible formats like live video, and a renewed focus on those who have yet to engage with Twitter make me optimistic. What must you keep in mind as you design a first mile user experience that gets your users to The Zone (and yields deep engagement over time)? 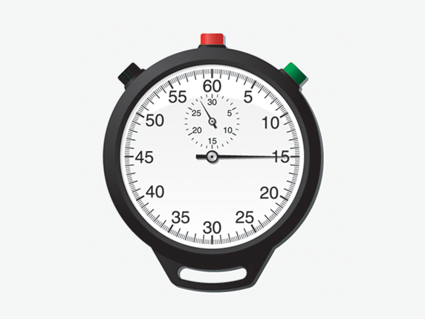 How do you build a product that engages a user quickly enough to get them to The Zone and keep them over time? I explored, in a previous post, why ALL USERS are lazy, vain, and selfish in their first 15 seconds of using a new product or service. But the short version is that everyone you meet — and everyone that visits your website or uses your products — has an entirely different mindset in the first mile. In the first 15 seconds, your visitors are lazy in the sense that they have no extra time to invest in something they don’t know. They are vain in that they want to look good quickly using your product. And they’re selfish in that, despite the big picture potential and purpose of what your service stands for, they want to know what will immediately benefit them. Don’t think your prospective customers are above this. Nobody is. We all need to be pulled beyond our primal tendencies. How? The most challenging products must EXPLAIN how something should be done (think Adobe Photoshop, where users must be find training on YouTube or elsewhere to engage — even initially—with the product). Having to explain your product is the least effective way to engage new users (and explains why products like Photoshop struggle to attract non-Pros). One step better than explaining is SHOWING. The advent of tool-tips (instant guides in the UI that walk you around the product in a series of steps) or mini-animations that demonstrate how something is done everytime you experience a new part of the product for the first time. But the absolute best hook in the first mile of a user experience is DOING things proactively for the user. 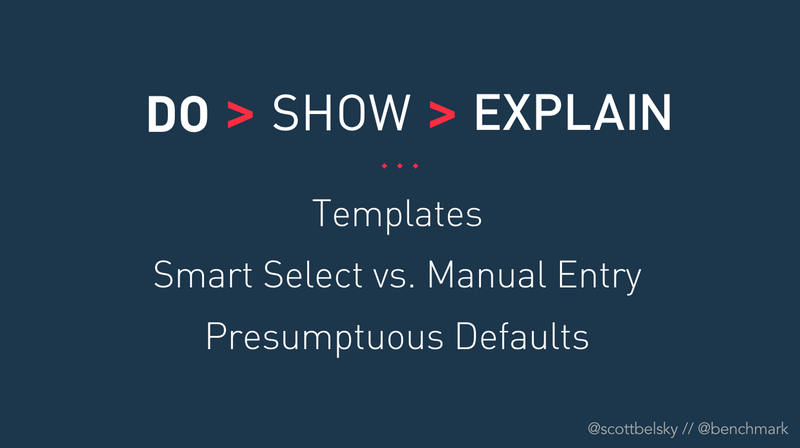 The best example of this is templates that make users feel successful from the start, as well as presumptuous defaults that present options users are most likely to want. Think about your usage of Instagram. 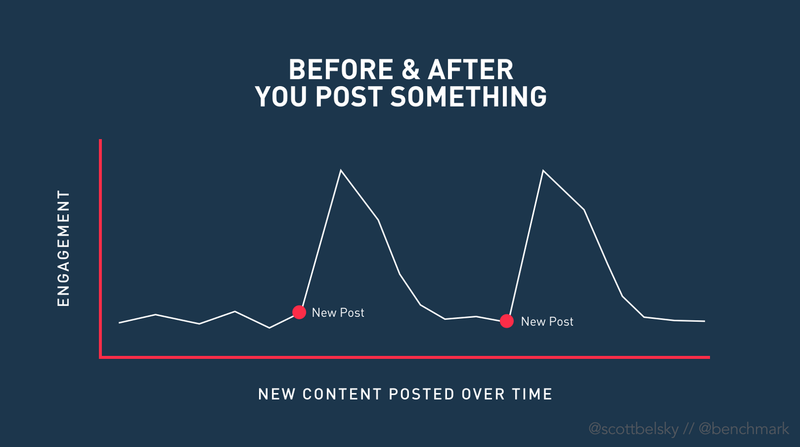 Are you more likely to use the product when your friends post great content, or immediately after you post great content? 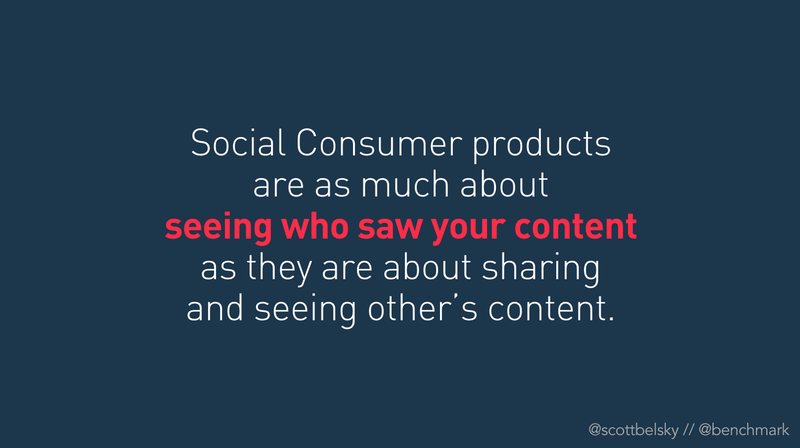 If you’re like most people, you feel the greatest impulse to jump back into a social product (whether it is for work, or for personal use) after you’ve just posted something for others to see. Why? Because your ego is on the line. The trick here is to recognize the role that ego (and underlying vanity and selfishness) plays in the first mile of user experience, and to capitalize on it. The ego analytics of your product are the efforts you take to bring such insights to the surface. In Instagram, it is the pop-up indicator with the number of hearts that shows up a few seconds after you open the app (and the feed dedicated to such ego-gratifying activity). In Periscope it is the constant stream of incessant (and unlimited) hearts you receive from your audience while broadcasting. In all successful networks (and most other tools) I have seen, an immediate novelty or utility precedes the larger promised benefits. 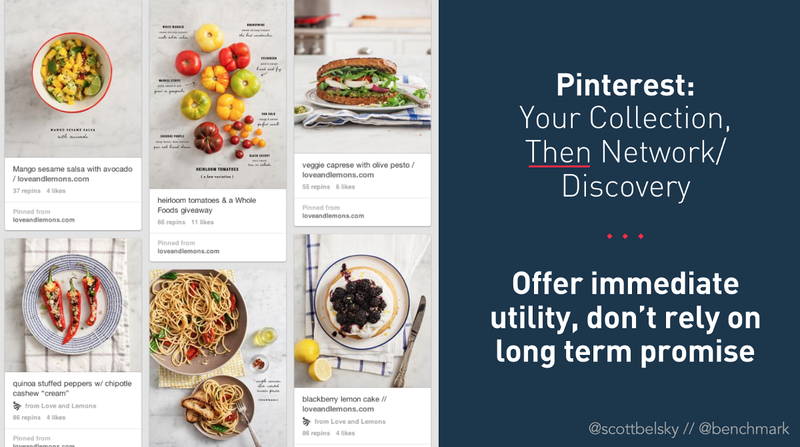 Before there was a true network-effect on Pinterest that enabled people to discover new interests, users gained immediate benefit from the utility of making collections for their own reference. I remember how many early users requested the “Private Board” feature immediately after launch; Pinterest was clearly delivering personal utility before it was the amped up discovery platform it is today. 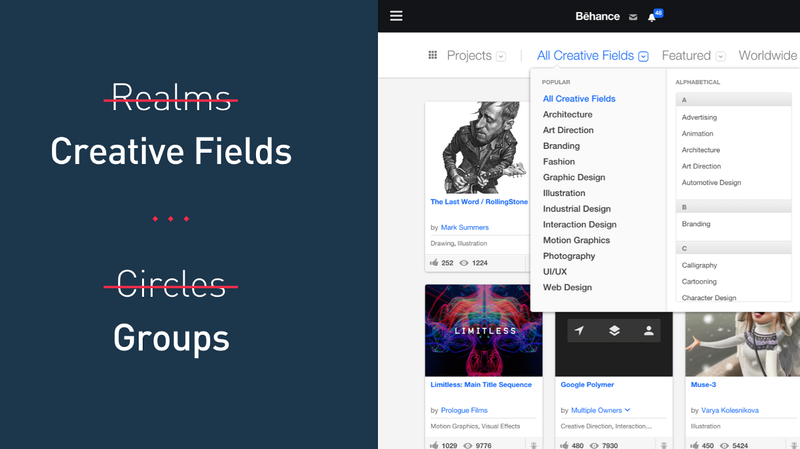 Similarly, in the early days of Behance, the immediate utility was presenting your portfolio online. If we didn’t execute this well, nobody would have stuck around long enough to experience the benefits of the networking and marketplace components. 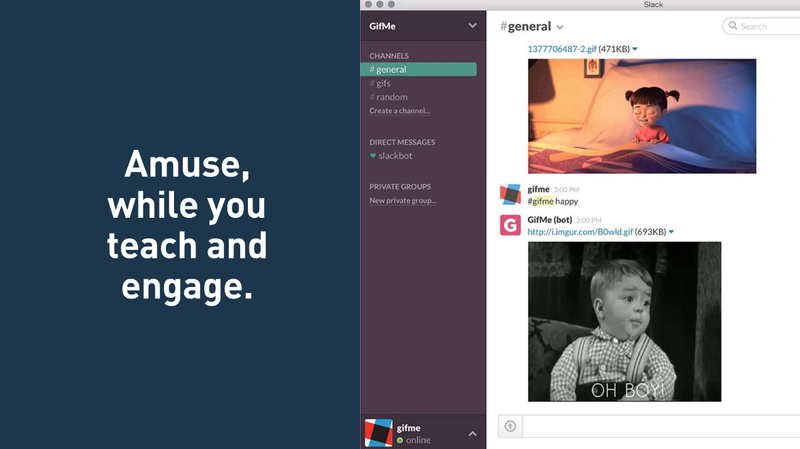 Another great example is Slack, which engaged some of its earliest users with the novelty of funny loading messages and tools for sharing animated GIFS among colleagues. These examples of early novelties and utilities are all “hooks” for a successful first mile. But providing these quick utilities and novelties for your users is not enough. You must present them up front and merchandise them effectively. Doing so relies on design teams bringing these capabilities up a level (even if they’re not core to the long-term value of the product), and whoever writes the copy (which is why I have always believed that marketing copy should be born by the product team — or at the very least, a collaboration). Copy is undeniably a core part of the product experience. 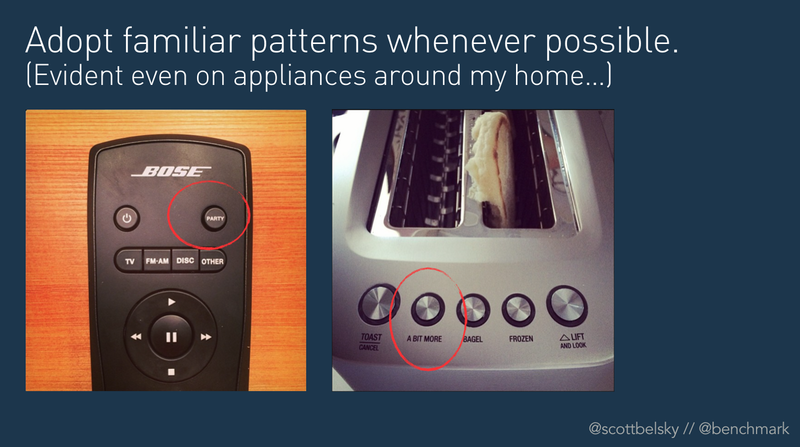 The users of your product don’t want to make choices, especially when they are in the first mile. The default options you provide, like which tab they land on and pre-populating fields with suggested selections, make all the difference in pulling new users through the first mile. I like how Dave Morin describes it, “the devil’s in the default.” So true. Similarly, you’ll want to make sure your empty states are engaging and informative. Product designers tend to design their products with the lens of an active user, someone who has already engaged enough to not have an empty experience. But the reality is that new users land without any history in your product, and what they typically see is sad. If the feed is empty, find something else to show that helps educate and entertain. In the early days of Behance and our pursuit to build a network for creative professionals, we got a little too creative ourselves. We created our own terminology for things that should have been kept simple. We used the term “Realms” for the creative fields that early users would use to classify their work (and it should have been a hint to me when my Spanish co-founder could barely pronounce it!). And we called groups “Circles” (this was 2007, well before Google notoriously popularized the term). We learned the hard way that new products are hard enough to figure out, and we should make as many things as familiar as possible. Again, life and new products are hard enough. When you can use a familiar term instead of being original, do so. Never opt for a solution that is more creative but less effective. The first mile of your customer’s experience using your product cannot be the last mile of your experience building the product. The first mile requires your study and continuous scrutiny before and after launch. Avoid the tendency to design your “tour,” on-boarding flow, and “empty states” right before launch. The first mile of a user’s experience is the top of your funnel for new users and needs to be the most thought-out part of your product, not an after-thought. For any product with aggressive growth aspirations, I’d argue that 30%+ of your energy should always be allocated to the first mile of your product. Even if your user experience for new users is performing well, don’t forget that new types of new users are the real source of growth. Without constantly reconsidering your assumptions for what new users need, you’ll fail to accommodate the cohorts that bring your product mainstream. Finally, recognize that the rest of your product experience beyond the first mile must also be grounded by the fact that (if you’re growing) the majority of your users are new (or renewed, when you start to reengage inactive users). 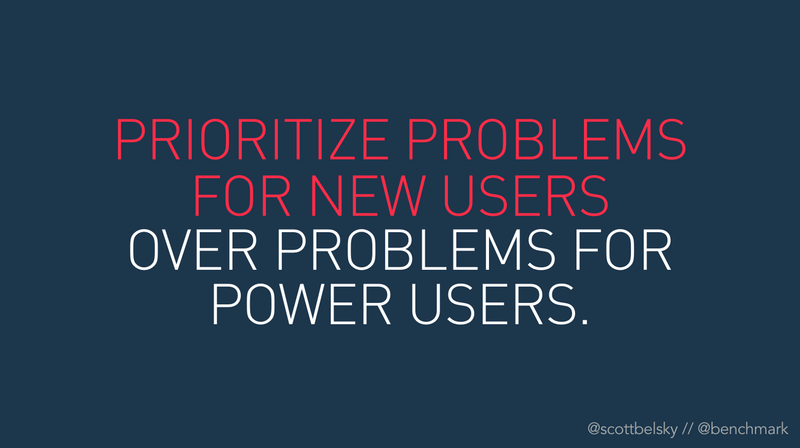 It’s a paradox of success: As you focus more on power users, you stop engaging new users. 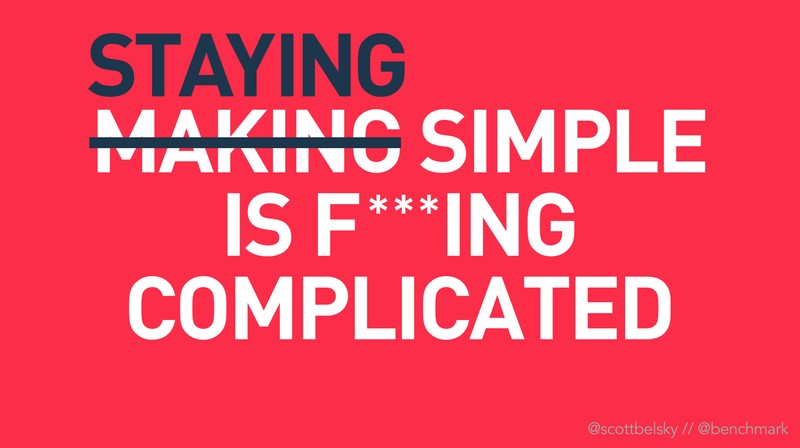 The sad reality (and the opportunity for start-ups) is that most established products take their large userbases for granted and fail to maintain simplicity over time. As you go down the rabbit hole of user experiences and new features for power users (which are often the users that pay the bills, hence their gravitational pull), do so with a bias towards always improving your First Mile. Follow along on Twitter, get my latest book — The Messy Middle, or sign up for an infrequent newsletter summary of insights. Insights on crafting products, teams, and progress.